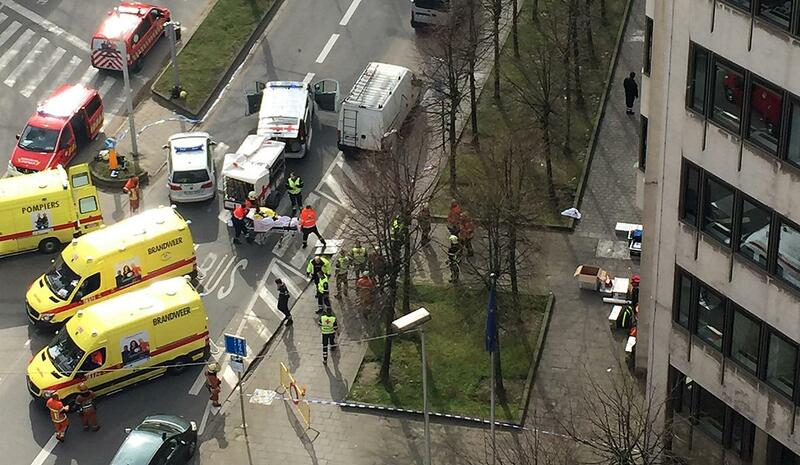 Brussels terror attacks aftermath: Three blasts rocked the Belgian capital on Tuesday (PHOTOS). 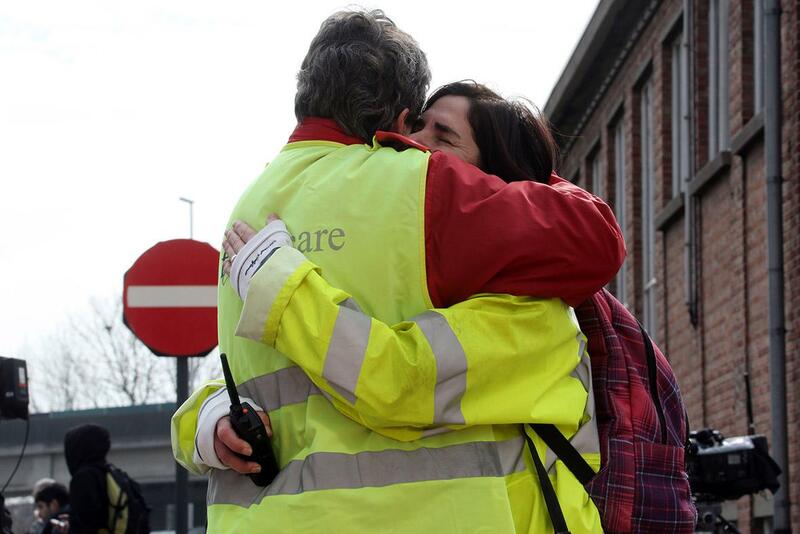 Rescue workers treat injured people after the bombing at the Maelbeek underground station in Brussels on Tuesday. 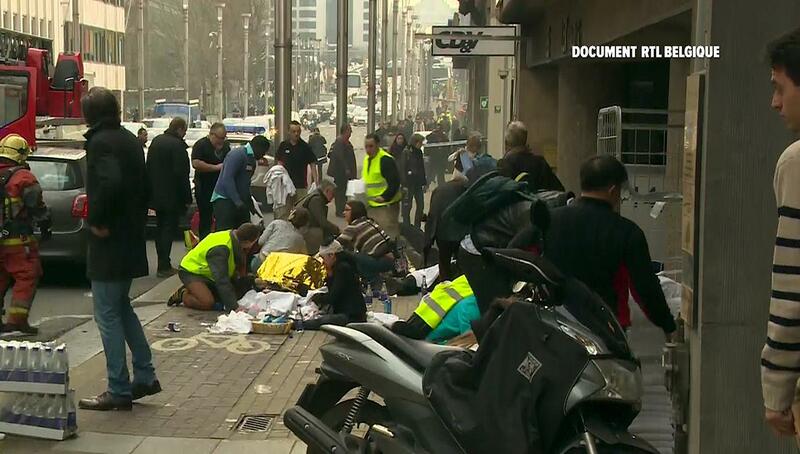 Rescue teams evacuate wounded people outside the Maelbeek metro station in Brussels on Tuesday. 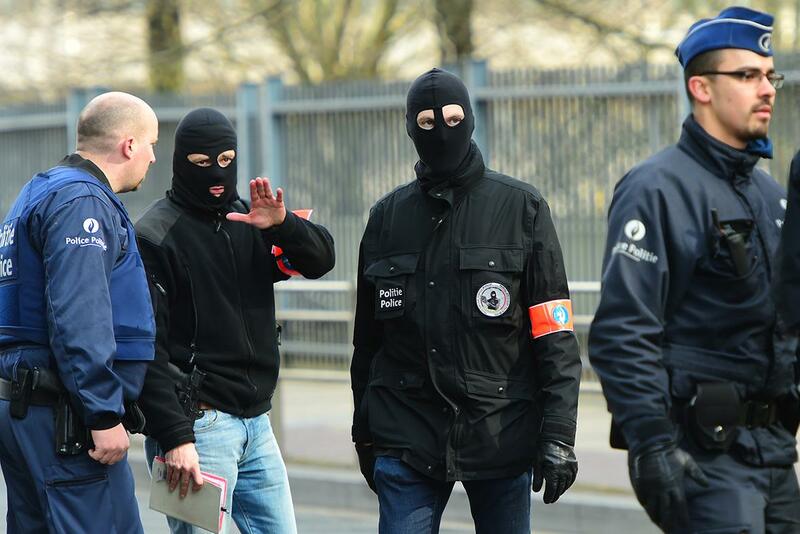 Belgian police officers stand guard at a security perimeter near Maelbeek metro station on Tuesday. 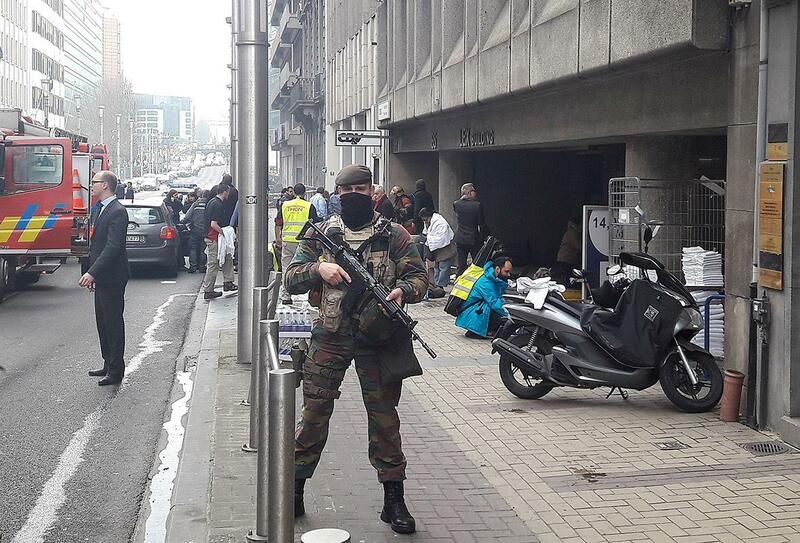 A Belgian soldier stands guard outside the Maelbeek metro station in Brussels on Tuesday. 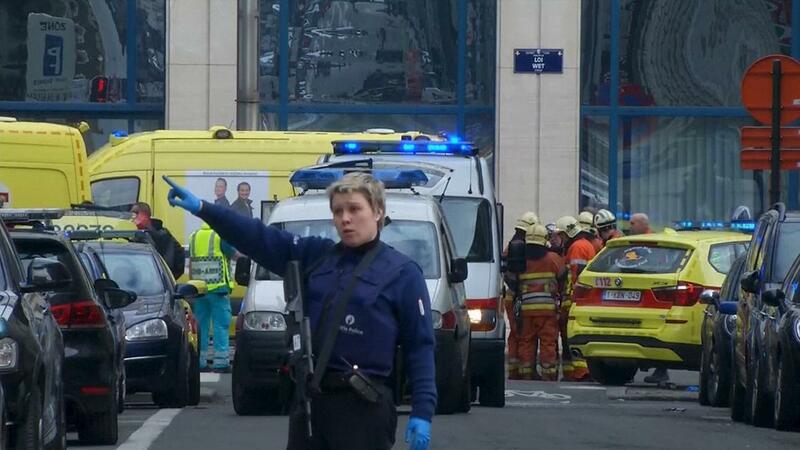 A police officer gestures in front of ambulances at the scene of a blast outside the Maelbeek metro station on Tuesday. Police stand guard as passengers are evacuated from Zaventem Brussels International Airport after a terrorist attack on Tuesday. 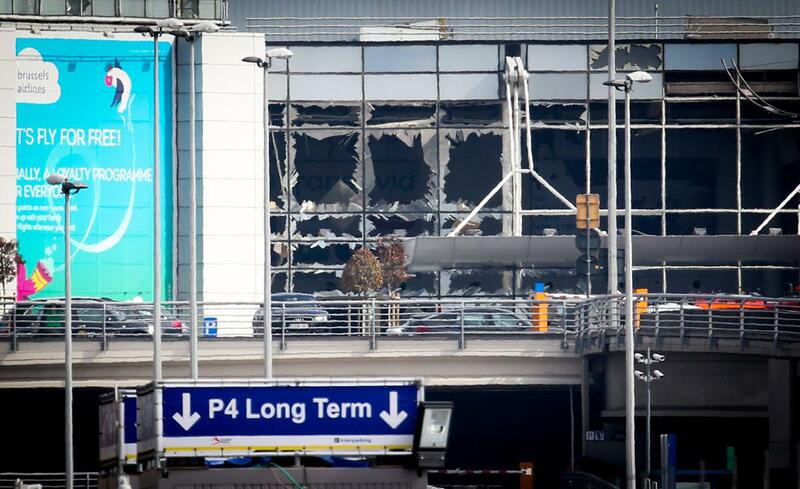 A picture shows the shattered glass façade of the departure hall at Zaventem Brussels International Airport on Tuesday following twin blasts. 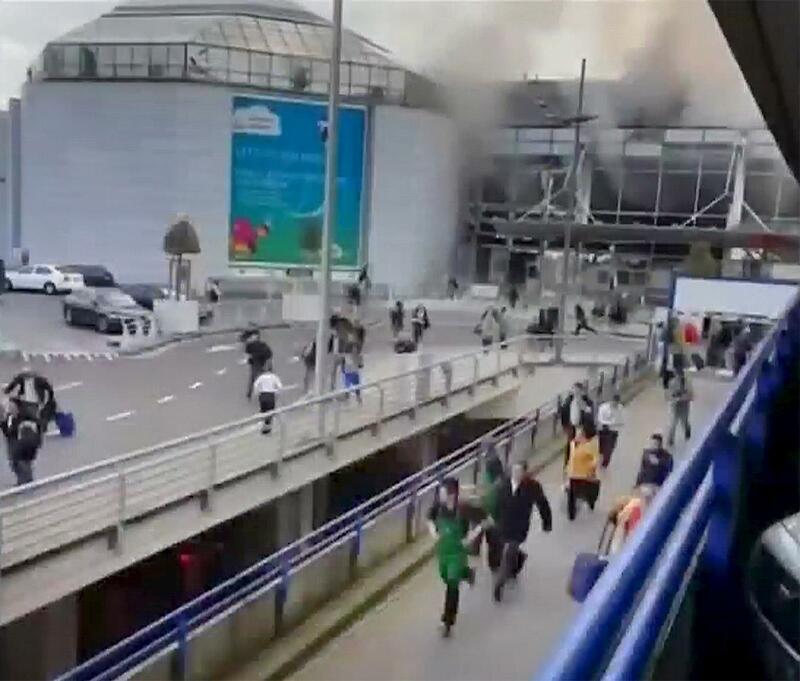 People flee from the Brussels airport in this image taken from video, shot by a bystander in the the immediate aftermath of blasts at the airport near Brussels on Tuesday. 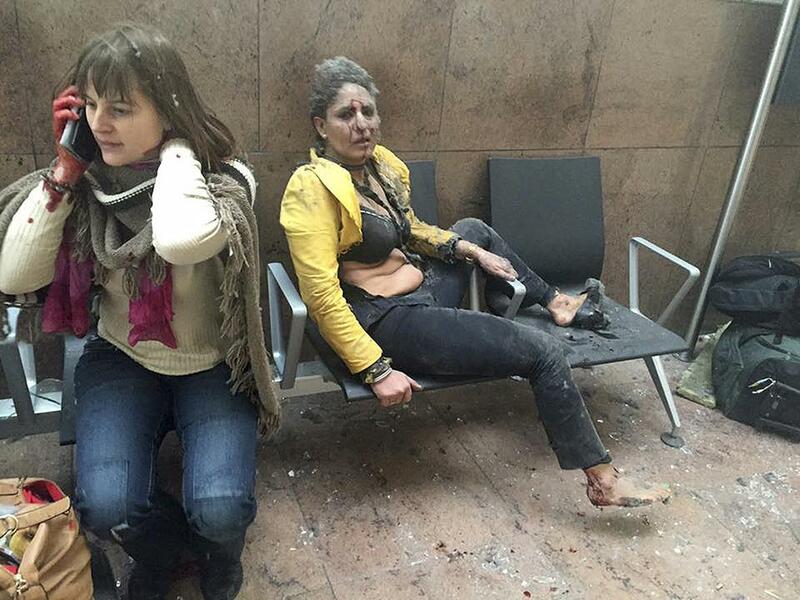 Injured people are seen at the scene of explosions at Zaventem airport near Brussels on Tuesday. 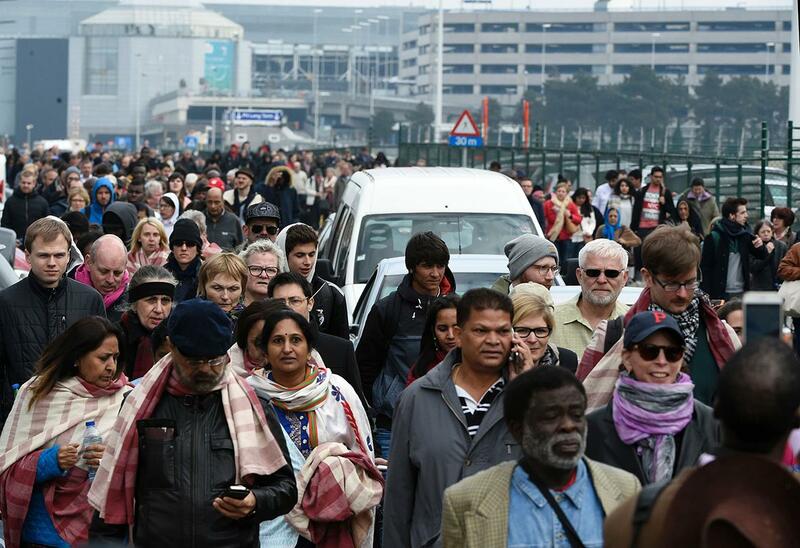 People are evacuated from Brussels airport in Zaventem, Belgium, on Tuesday following twin blasts. 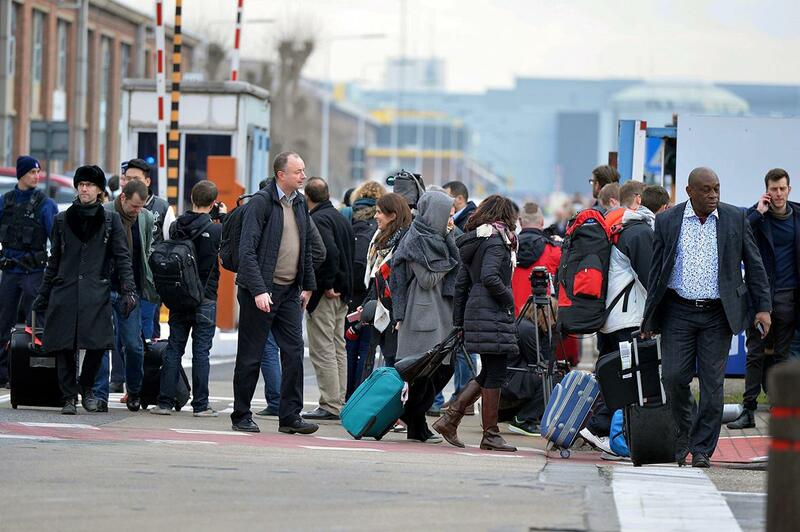 Passengers are evacuated from Zaventem Brussels International Airport on Tuesday. 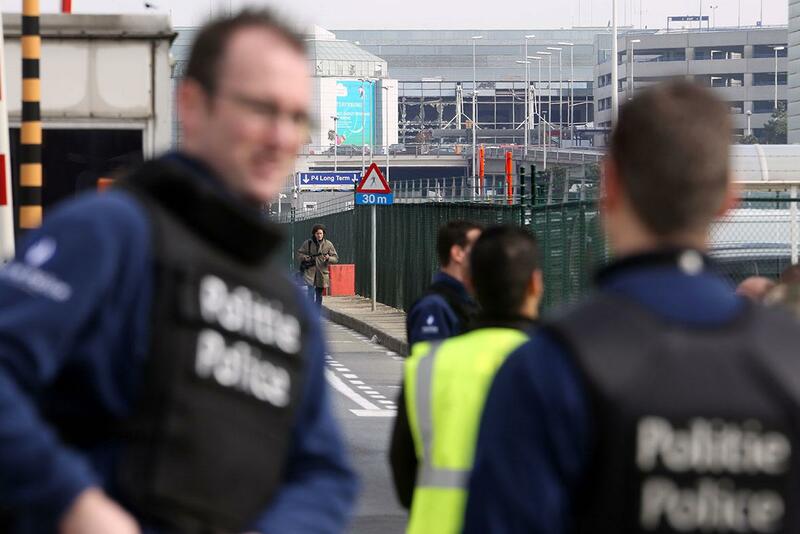 Police officers stand guard as passengers are evacuated from Zaventem Brussels International Airport on Tuesday. 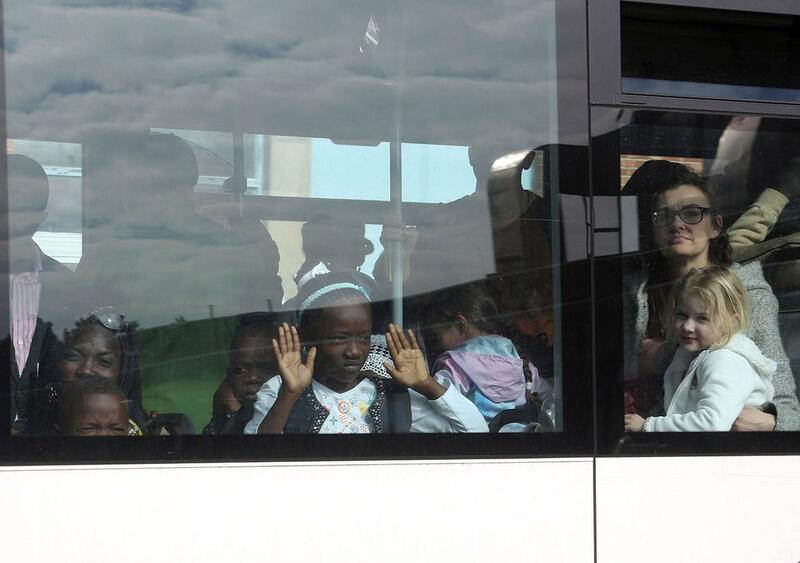 Crew and passengers are evacuated by bus from Zaventem Brussels International Airport on Tuesday. 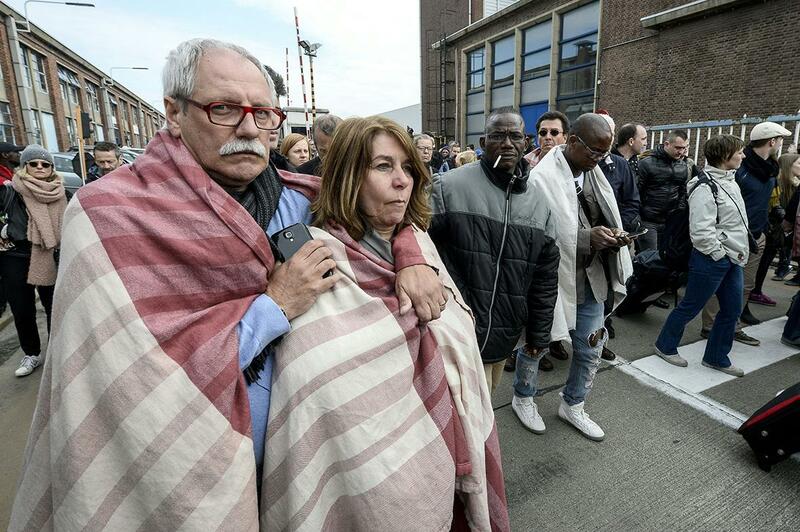 Airport staff comfort each other as passengers are evacuated from Zaventem Brussels International Airport after a terrorist attack on Tuesday. 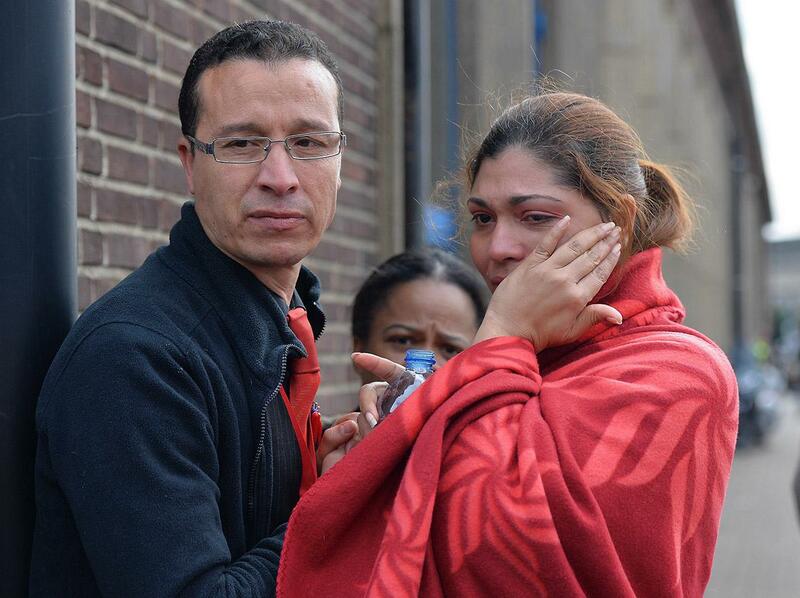 Passengers who have been evacuated from Zaventem airport on Tuesday. 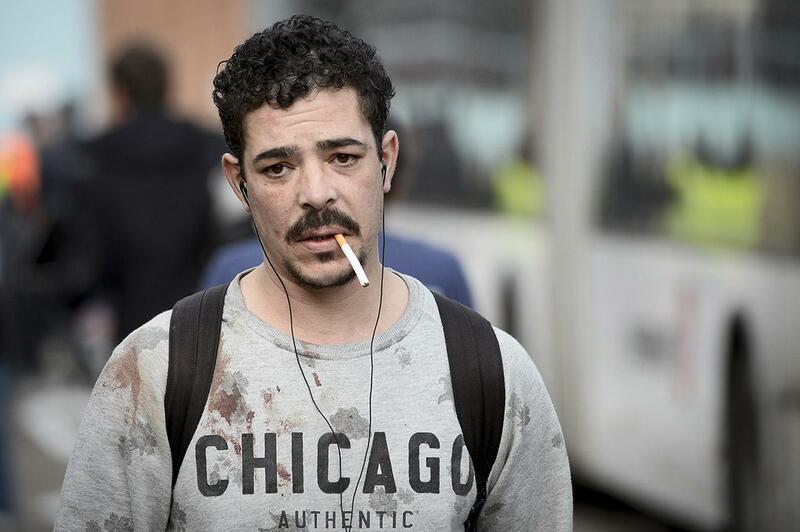 A man with blood stains on his shirt is evacuated from the Zaventem Brussels International Airport on Tuesday. Read more of Slate’s coverage of the Brussels terror attacks.